Founded 10 years after the introduction of AliPay, WeChat Pay surpassed the powerful incumbent by introducing Lucky Money and secured its position as the mobile payment leader. 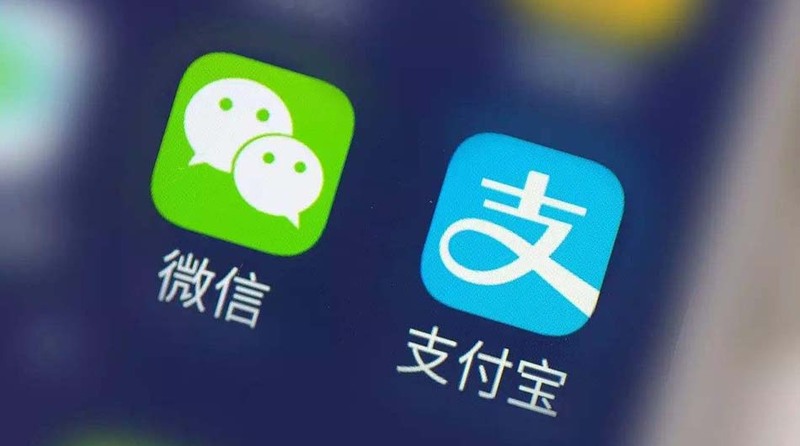 From its instant messenger apps QQ to WeChat, Tencent Holdings relied on strengths of its products to become one of the world’s top internet companies. Its product development philosophies have become a prominent example and benchmark of made-in-China success. WeChat Pay is a notable success case of Tencent. In a market dominated by AliPay for over 10 years, WeChat pay managed to outshine AliPay by providing an interactive and personalized money transfer application. Since then, it has successfully taken over half of the mobile payment market, a key segment of the internet industry. One lesson we can learn from WeChat’s ascent is that breaking the status quo does not necessarily require a massive and comprehensive solution. Instead, it only requires a focus on a specific scenario based on a bottom-up user-centric design. This article is excerpted from the book “Tencent’s Product”, by Li Li, who has worked at Tencent for 7 years. He was previously the product manager of the QQ Synchronized Manager Tool and has participated in joint projects with the WeChat team. Kr-Asia.com has been authorized to publish this article. Our work on WeChat Pay’s Lucky Money has inspired us to continue to revolutionize the way that we compete with incumbents. On May 8, 2013, WeChat Pay was officially launched. Compared to AliPay, which has been dominating the mobile payment market for the past ten years, WeChat Pay was tremendously late to the game. When WeChat Pay was launched, AliPay users were obsessing over the integrated Yu’ebao feature, also known as the world’s largest money market fund. As such, they were not paying any attention to new products. Although WeChat Pay is built into WeChat, which is used by millions every day, users still launched AliPay to make payments and transfer money. As an ambitious latecomer, WeChat Pay needed to identify a point of leverage to disrupt the status quo. The WeChat team came up with strategies, such as integrating with ridesharing app Didi under the umbrella of its payment functions to boost user adoption. However, these strategies didn’t bring about the desired effect. The game-changer finally emerged at the beginning of 2014, as Chinese New Year was approaching. It seemed like pure coincidence and destiny at the same time. When the production team reaches a high level of focus, it only takes something trivial to trigger a great idea. The killer feature for WeChat Pay arose out of a simple yet practical user need. 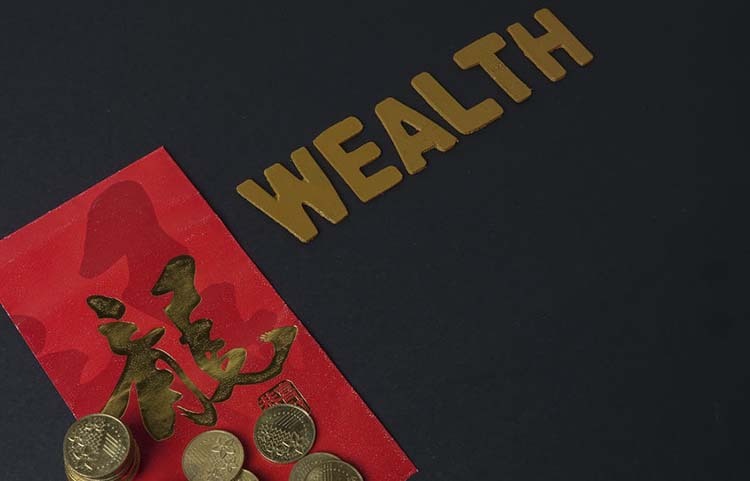 During Chinese New Year, it is a tradition for people to hand out red envelops with cash inside to the children and subordinates at work. But due to the huge amount of employees at Tencent, many managers found it troublesome to give out red envelopes one by one. Some got to thinking: how could this process be streamlined? This demand gave rise to WeChat Red Packet. From a technical standpoint, developing functions like “Snatching the Red Packet” and “Give Red Packet” is not particularly difficult. 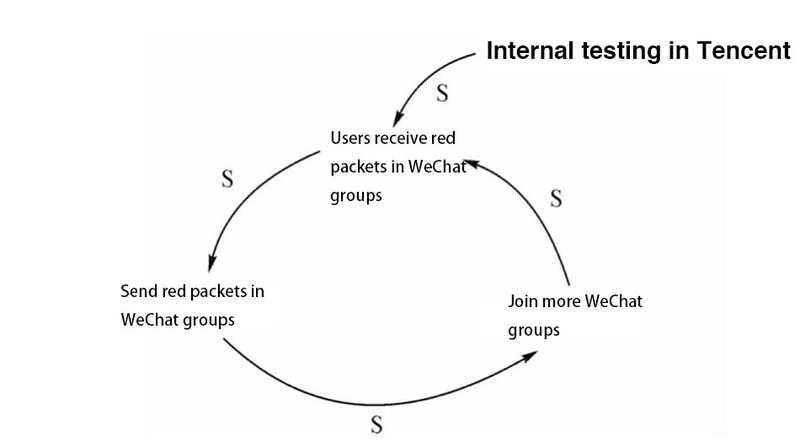 It took only 3 weeks for the first version of WeChat Red Packet to be developed, and it was quickly put into internal testing. What happened next blew everyone away. From the eve of Chinese New Year’s to 4:00 pm of the following day, WeChat Pay accumulated over 5 million users. 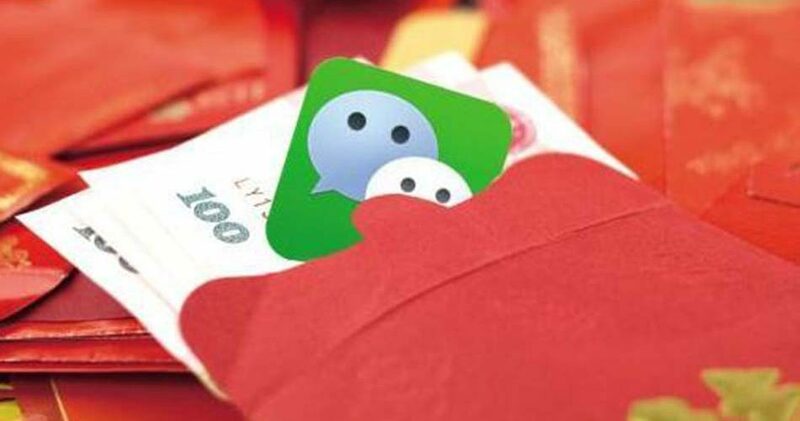 During the 9 days of Chinese New Year starting from the Eve to the eighth day, over 8 million Chinese users had received approximately 40 million WeChat Red Packets that contained an average of RMB10 each. During Chinese New Year in 2015, WeChat Pay Red Packets had grown substantially, hitting a grand total of RMB 1 billion sent. As of 2016, Tencent had an average of 6 million active mobile payment users each month, generating over 6 million transactions daily, and has since taken over half of the mobile payment market. WeChat Pay became a key player and game-changer in the mobile payment industry with its bottom-up user-centric design. Y Combinator is a renowned American business incubator founded in 2005 that assists startups by providing guidelines and advice. The “Group Effect” comes from the WeChat team’s careful observation of consumer psychology. They designed two different kinds of Red Packets, including one where a fixed number of users get a randomized percentage of the total given and a conventional Red Packet where a fixed amount is given to a designated user. Most users like the former for its random distribution of funds, because red packets in Chinese culture do not only represent money itself; rather, they symbolize good luck. The diagram above illustrates the typical feedback loop. The more Red Packets users gather from group chats, the more Red Packets they, in turn, give out. The effect gets amplified by the fact that in the process of giving and receiving Red Packets, users are more willing to participate in different group chats. Red Packets began to expand into online interest groups through group chats. In fact, within just a few months of the launching of Red Packets, participation in WeChat’s group chat increased by 3-4 times. 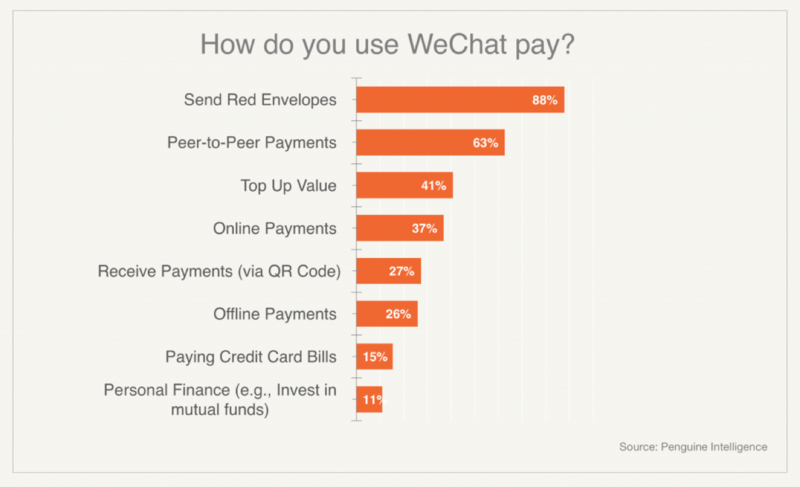 Red Packets, as WeChat Pay’s killer feature, spread all over the social networks of Chinese users. Following the success of the Red Packet feature, WeChat extended its mobile payment platform to other diverse scenarios, such as online and offline store payments, more third-party in-app purchases, in-city public service payments, expanding the reaches of the platform. From the case study of WeChat Red Packets, we can see that the killer feature is not necessarily a massive and comprehensive overhaul of a service; rather, it is a surgical solution that is scenario-specific and features a “bottom-up” user-centric design. The system can be revolutionized by a surgical strike. However, it is not easy to locate such a robust and discreet killer feature. Creating one requires meticulous observation of the product and just that little bit of luck. Therefore, it is alright to not have a capacity for in-depth systems thinking. What’s important is that we have already discovered the existence of such a model and no longer think about it theoretically. Also, when put in front of a sophisticated system, there is one thing that is brutal, yet fair to all: Regardless of whether you’re an industry veteran with ample experience or a fresh rookie, success depends on the actual outcome of the product’s execution. Only the outcome can verify the validity of systems thinking.